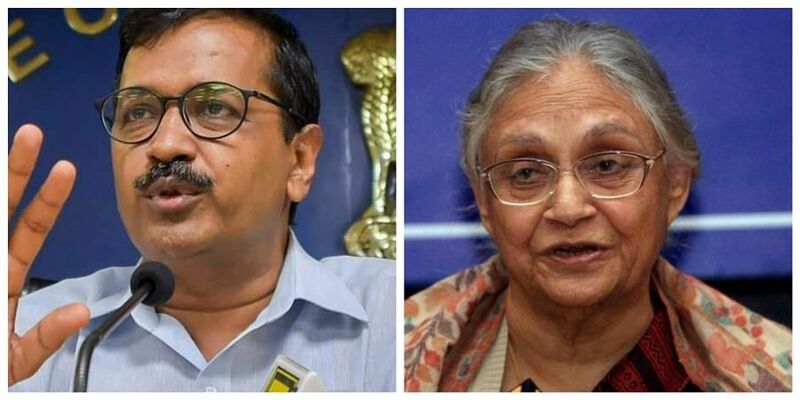 The talking point in political circles in the national Capital since the past one month has been the possible alliance between the Aam Aadmi Party and the Congress for the ongoing Lok Sabha elections. When the idea was first mooted by the AAP, the coming together of the bitter political rivals was a near certainty. This made the Bharatiya Janata Party, which currently holds all the seven seats in Delhi, extremely nervous as an alliance between the two parties has the potential to upset their apple cart. But the talks between the Congress and the AAP started stalling after the ruling party in Delhi, apparently at the behest of the AAP leadership (read Chief Minister Arvind Kejriwal), told the grand old party that any alliance in Delhi would also have to include a similar tie-up in Haryana, Punjab and Goa. The AAP wants a united fight against the BJP in 33 seats across Punjab (13), Haryana (10), Delhi (7), Goa (2) and Chandigarh (1). But the Congress is opposed to this proposal as, according to it, the AAP has hardly any base outside the national Capital. The Congress contention may not be off the mark. In the last Assembly elections in Haryana and Goa, the AAP’s vote share was a mere 5% and 4% respectively. In the Assembly elections in Punjab in 2017, the party got 23.8% of the vote share, bagging 20 seats. But after that high, the party has been on a steady decline, perhaps terminally. Many of its leaders have since left the party while eight of its 20 MLAs have been suspended for alleged anti-party activities. All this is a clear sign that the AAP, which had promised much when it was founded in 2012, does not have a significant presence anywhere in the country except Delhi. Here too its appeal is on the decline, albeit slowly. Clearly, the AAP seems to be punching way above its weight by demanding from the Congress an alliance in the northern states, besides Goa. A senior AAP leader has admitted that the BJP is likely to win all the seats in Delhi unless his party and the Congress can agree to an alliance. It is for this reason that the AAP is more desperate for a tie-up with the Congress. Being in power in the state, an electoral defeat at the hands of the BJP will deal a huge blow to its image and could adversely affect its prospects in the Assembly elections next year. The AAP has been on the back foot ever since its historic Assembly election landslide victory in 2015, when the party won 67 of the 70 seats, a feat that perhaps no party in the future can match. In the three municipality elections of 2017, the party had hoped to win at least 220 of the 270 seats. But the party managed to bag a mere 48. The clear winner was the BJP, which won 181. This was a huge setback for Kejriwal and his party. The AAP has made full statehood for Delhi as the main election plank for the Lok Sabha elections. Its leaders are telling voters that their government would have delivered much more had the Central government not interfered with the functioning of the state government. But opinion is divided over whether the common man is convinced by this argument. While the AAP’s core vote base comprising slum dwellers and auto rickshaw drivers appears to think there is merit in this argument, the others are not so sure. A lot of questions will be answered on May 23 when the election results will be known.